UMi Iron Pro, the flagship which is already available for sale has managed to garner the attention of smartphone lovers with its refined design. The phone comes with a sturdy yet beautiful body carved out of a single piece of aircraft grade aluminum. 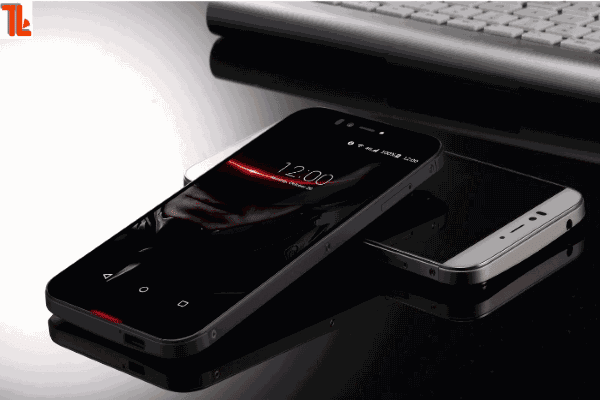 This magnesium aluminum alloy body with a solid metal frame makes sure that the phone is strong at the core. The curved edges blend well with the overall design giving the phone a premium appearance. The 7.9mm body makes sure that the phone fits well in your hand despite its large 5.5-inch FHD display. Also, even with the all metal design, UMi has managed to keep down the weight to just 148 grams. Clearly, UMi has spent a lot of time refining the Iron Pro’s design to finally make it look like a premium high-end device. Apart from its stunning appearance, the UMi Iron Pro brings a number of security features such as Fingerprint ID and Eyeprint ID. You no longer have to worry about losing your data to strangers thanks to these biometric security features. Further, the phone comes with the powerful MT6753 octa-core chip with 3GB of RAM on board and 16GB of expandable internal storage. There is the new age USB Type-C connector on the Iron Pro, usually found only in flagships. The Type-C port will make sure that you will always connect your cable on the first try. The UMi Iron Pro features a large 5.5-inch FHD 1080p display that translates into an impressive pixel density of 403ppi. You get a powerful 13MP Sony IMX214 sensor at the back with dual LED flash as well as an 8MP OV camera up front with another flash. So, this phone is ideal for those who love to take selfies on their smartphones. Finally, to wrap up, there’s a large 3000mAh battery which will power the smartphone all day long. With good looks, powerful specs and cheap pricing (just $179.99), the UMi Iron Pro is indeed here to satisfy the needs of those who always want more from their smartphone. Great mid-end smartphone with three unique forms of security!